When you visit the scenic paradise of Hawaii, it’s understandable you’ll want to spend the lion’s share of your time outdoors, enjoying the sun and sand. But, we all need a INDOOR break every now and again. So, where does a entertainment-hungry visitor go for a little indoor fun? Your choices just got a little bigger. According to Pacific Business News, California-based Lucky Strike Entertainment is slated to come to Ala Moana Center, to occupy the two-level space that used to house Shirokiya (which is now part of the Japan Village Walk). The venue will provide bowling, arcade gaming, live music, and food — perfect for locals and visitors looking for an indoor getaway. The Hawaii location will be part of the Lucky Strike Social concept and will occupy more than 25,000 square feet near Ala Moana Center’s Hookipa Terrace, the magazine reports. And, this is NOT your average bowling alley in Hawaii. The venue will feature a range of entertainment options that cater mostly to the over 18 set. The Lucky Strike Social at Ala Moana Center will feature live music and two stages. “It has always been my dream to bring Lucky Strike to Hawaii. The Ala Moana Center has provided the perfect opportunity. Our culture represents a strong sense of ohana and we are thrilled to be coming to Honolulu,” Steven Foster, Lucky Strike Entertainment CEO, told the Honolulu Star Advertiser. 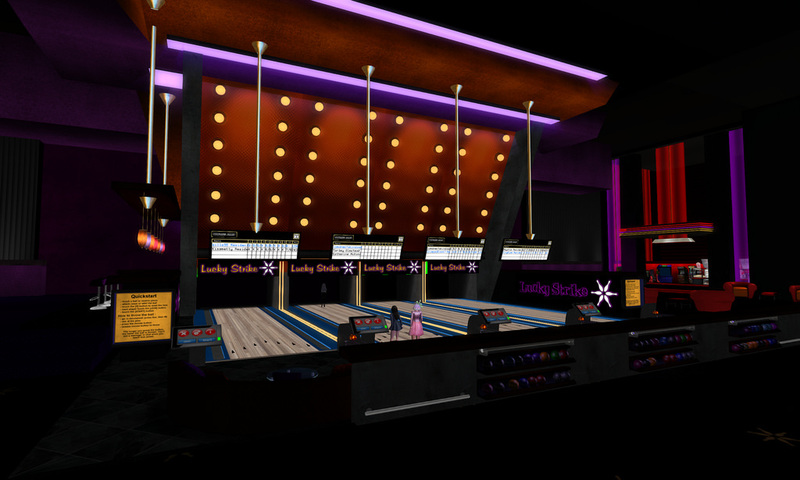 The Lucky Strike Social will feature four lanes of bowling, plus arcade games, food, and more. If YOU’RE coming to Honolulu, too, getting to Lucky Strike Social at Ala Moana Center can be as easy as hopping on the Waikiki Trolley. In fact, when you book an Oahu Super Saver All-Inclusive through Hawaii Aloha Travel, your package includes a day of hop-on hop-off transportation with the Waikiki Trolley. So, you can use your pass and spend an afternoon at this new, expansive bowling alley in Hawaii. Even those of us who love the outdoors need a break every once in a while. And, now, we have the perfect excuse to stay inside. So, grab your bowling ball, your friends, and your sense of adventure — and meet me at Ala Moana (I’ll be the one in the ugly shoes)!